The government requires hedge funds and wealthy investors that crossed the $100 million equity holdings threshold are required to file a report that shows their positions at the end of every quarter. Even though it isn’t the intention, these filings level the playing field for ordinary investors. The latest round of 13F filings disclosed the funds’ positions on December 31. We at Insider Monkey have made an extensive database of nearly 750 of those elite funds and prominent investors’ filings. In this article, we analyze how these elite funds and prominent investors traded Packaging Corporation Of America (NYSE:PKG) based on those filings. Packaging Corporation Of America (NYSE:PKG) shareholders have witnessed an increase in activity from the world’s largest hedge funds lately. 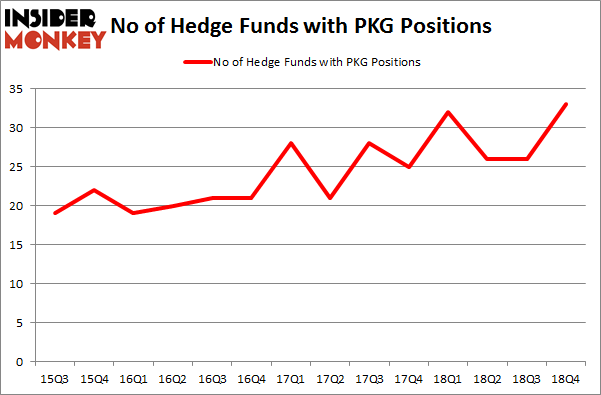 Our calculations also showed that PKG isn’t among the 30 most popular stocks among hedge funds. Let’s take a look at the new hedge fund action surrounding Packaging Corporation Of America (NYSE:PKG). How are hedge funds trading Packaging Corporation Of America (NYSE:PKG)? At Q4’s end, a total of 33 of the hedge funds tracked by Insider Monkey were long this stock, a change of 27% from the previous quarter. By comparison, 32 hedge funds held shares or bullish call options in PKG a year ago. With hedgies’ capital changing hands, there exists an “upper tier” of notable hedge fund managers who were upping their holdings considerably (or already accumulated large positions). The largest stake in Packaging Corporation Of America (NYSE:PKG) was held by Millennium Management, which reported holding $85.5 million worth of stock at the end of September. It was followed by AQR Capital Management with a $54.3 million position. Other investors bullish on the company included MD Sass, D E Shaw, and Citadel Investment Group. Now, specific money managers were leading the bulls’ herd. 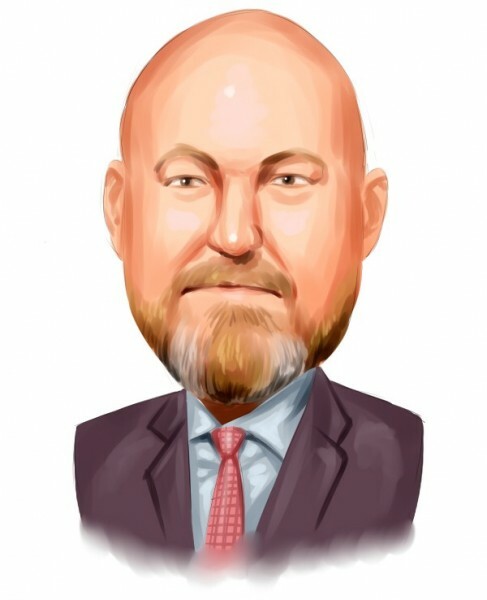 Stevens Capital Management, managed by Matthew Tewksbury, established the most valuable position in Packaging Corporation Of America (NYSE:PKG). Stevens Capital Management had $5.4 million invested in the company at the end of the quarter. Daniel Arbess’s Perella Weinberg Partners also made a $2.6 million investment in the stock during the quarter. The other funds with brand new PKG positions are Paul Tudor Jones’s Tudor Investment Corp, Ray Dalio’s Bridgewater Associates, and Peter Algert and Kevin Coldiron’s Algert Coldiron Investors. Let’s now take a look at hedge fund activity in other stocks similar to Packaging Corporation Of America (NYSE:PKG). These stocks are Barrick Gold Corporation (NYSE:GOLD), Lear Corporation (NYSE:LEA), Zions Bancorporation, National Association (NASDAQ:ZION), and ASE Technology Holding Co. Ltd. (NYSE:ASX). This group of stocks’ market caps match PKG’s market cap. As you can see these stocks had an average of 24 hedge funds with bullish positions and the average amount invested in these stocks was $440 million. That figure was $264 million in PKG’s case. Zions Bancorporation, National Association (NASDAQ:ZION) is the most popular stock in this table. On the other hand, ASE Technology Holding Co., Ltd.(NYSE:ASX) is the least popular one with only 7 bullish hedge fund positions. Packaging Corporation Of America (NYSE:PKG) is not the most popular stock in this group but hedge fund interest is still above average. This is a slightly positive signal but we’d rather spend our time researching stocks that hedge funds are piling on. Our calculations showed that top 15 most popular stocks among hedge funds returned 21.3% through April 8th and outperformed the S&P 500 ETF (SPY) by more than 5 percentage points. Hedge funds were also right about betting on PKG as the stock returned 22.8% and outperformed the market as well.